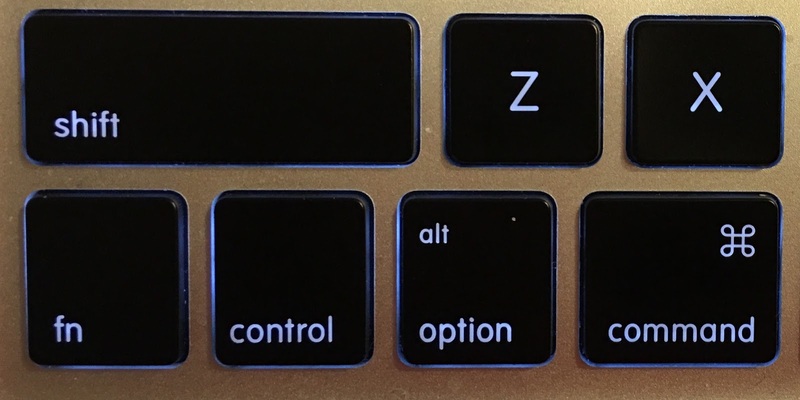 Use these shortcuts to be more productive when using your Mac computer. For years I was a Windows operating system personal computer user. However, after a series of laptops that consistently overheated following about two years of use, I decided that I was ready to switch to an Apple Mac computer. This transition was already well underway for me because I had already started using an iPhone, and then added an iPad to the mix. Thus, switching to the Mac completed the Apple puzzle. I love the Mac. The power-up time is fast, and when the computer is asleep, pressing the power button instantly brings it to life. Because the hard drive is solid state, there are no moving parts. Any type of change takes time. Switching to Mac required me to become familiar with new screen layouts, file organization, and keyboard shortcuts. You can easily search the Internet for keyboard shortcuts for both Windows and Mac operating systems. 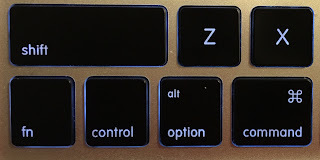 There are numerous keyboard shortcuts for Mac. Many apply across all applications on the Mac operating system. There are other shortcuts that are app specific. The shortcuts below are, in my opinion, essential ones to use all the time. Letters with accents: Hold down a letter to reveal accented letters. For example, a document detailing educational and work experience is a résumé, not a resume. Delete a character to the right: Press Control+D or Fn+Delete. Navigate to the top of a document or page: Fn+← (Fn+left arrow). Navigate to the end of a document or page: Fn+→ (Fn+right arrow). En dash: Option+dash. The en dash is used to indicate a range of dates (1941–1945) or page numbers or to set apart some text – that is, for emphasis or interruption – to draw attention to it. The en dash usually has spaces on either side when using in a sentence (dates do not use the extra spaces). Em dash: Shift+Option+dash. The em dash is preferred by many editors—according to many style guides—for inserting statements of emphasis or interruption. It can also be used to attribute a quote. For example, "All I am, or hope to be, I owe to my angel mother ." —Abraham Lincoln. Center a line: Command+| (⌘|). Center a line: Command+E (⌘E).